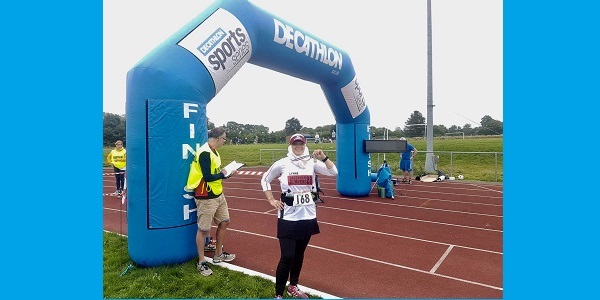 As part of her preparations for the London Marathon 2018, Lynne Northcott, better known as Jogonhijabi, took part in a gruelling ten miler in Harlow along with 250 other runners. The run took place on a tough multi-terrain course and was organised by Harlow Running Club. Lynne joined eight of her fellow Dagenham88 runners to complete the course. Lynne hopes readers will follow her exploits on Instagram and Twitter “jogonhijabi” and help provide the moral support and boost she needs to keep increasing her miles. Her next race is the Royal Parks Half Marathon next month.